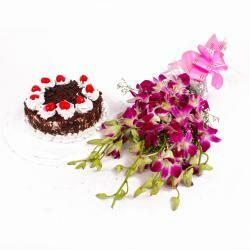 Like a colorful rainbow comes out after a rain shower, your special people would feel the colors of life through this bouquet. A bunch so beautifully made with different colored Seasonal flowers surrounded by green foliage is an ideal gift to be sent to people you love. 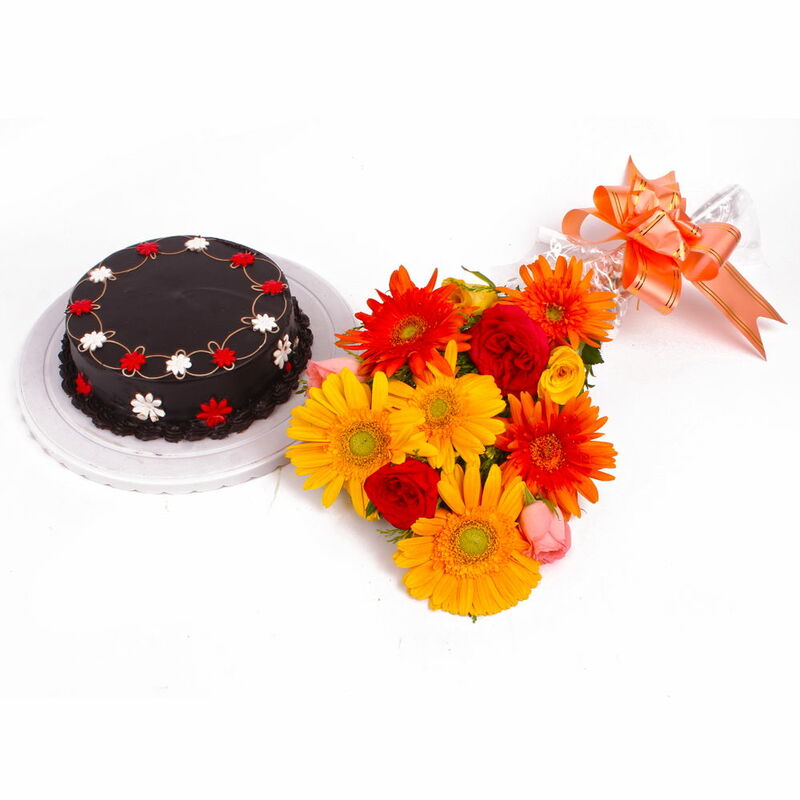 Add some more happiness with chocolate cake sending this gift hamper is a simple and wonderful way to express your positive feelings for your friends and dear ones. 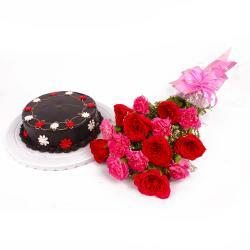 It is perfect gift for like Birthday, Anniversary, Retirement Gifts, Easter, Valentine's Day, Congratulate and many more. Send this bountiful hamper along with other Gifts to India through Giftacrossindia and make your recipient feel special. 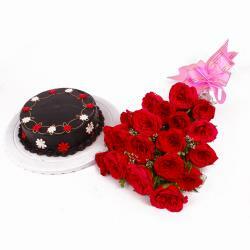 This gift hamper contains : 12 Colorful Flowers Hand Tied with 1/2 Kg Chocolate Cake.